Samtec, Inc., is a worldwide manufacturer of P.C. Board level interconnects. Samtec was founded in 1976 and is privately held. Samtec, Inc. is ISO/TS 16949:2009, ISO 9001:2008, and ISO 14001:2004 registered with a 5-A1 Dun and Bradstreet rating, the highest available for a corporation this size. In lieu of our expansion, we are now inviting self-directed and analytical personnel to join our Johor Team. 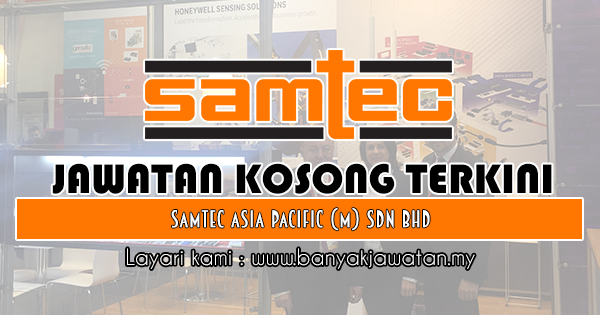 0 Response to "Jawatan Kosong di Samtec Asia Pacific (M) Sdn Bhd - 30 November 2018"